The HMS Victory is best known for being Admiral Lord Nelson’s Flagship at the Battle of Trafalgar on 21 October 1805. Construction of this vessel started in 1759 and it was launched in 1765. Today, Victory is the only surviving 18th century battleship in the world to have survived in such a complete state. She is open to visitors throughout the year. This vessel was the Flagship of King Henry VIII. After having served him for 33 years, she unfortunately capsized and sank close to Portsmouth Harbour in 1545, taking most of her crew with her. 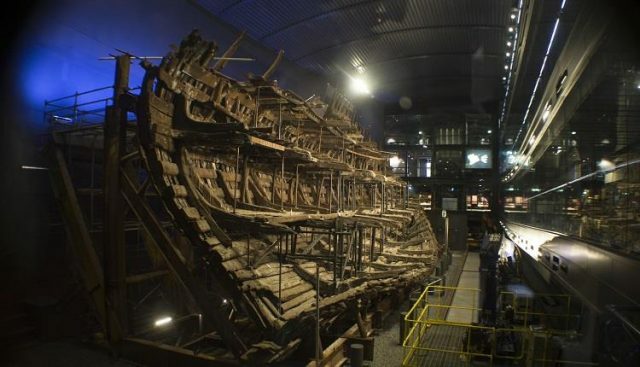 She was recovered in 1982, and it is possible to see a large portion of her hull as well as thousands of personal and military items which have been kept in a remarkable state of preservation. This is thanks to the many layers of mud and silt which covered the wreck, ensuring the absence of oxygen. 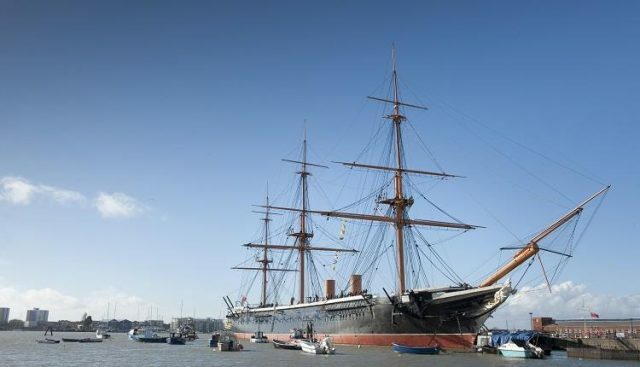 This vessel was the first armour-plated, iron hulled warship to be constructed in this country, and was launched in 1860. 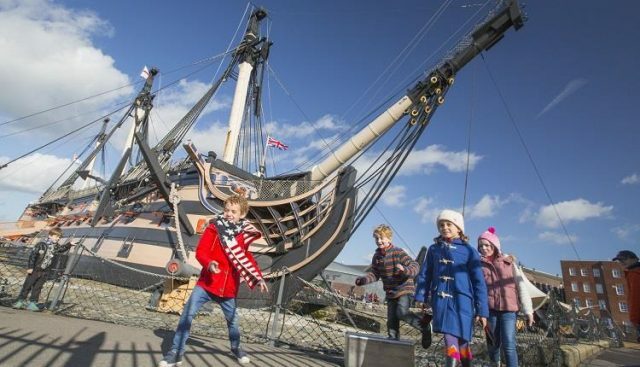 A visit is recommended, as it gives an interesting comparison to HMS Victory, constructed totally from timber. It is also possible to see how conditions for the crew had changed since the time of Nelson. 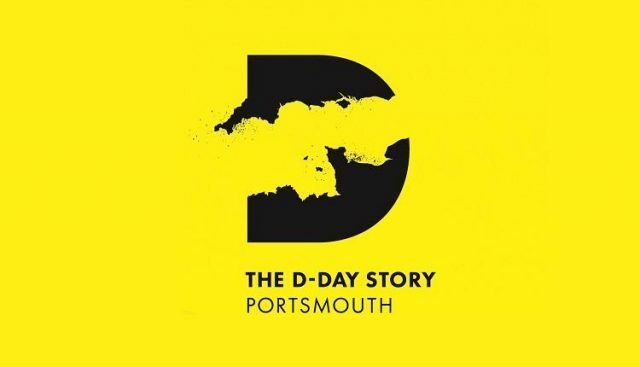 This museum reveals the story of the D-day landings through personal accounts from D-day veterans and civilians, as well as artefacts including the pencil used to sign the order for naval forces to depart for Normandy. Outside the museum, the Normandy Memorial Wall lists the names of everyone who took part. 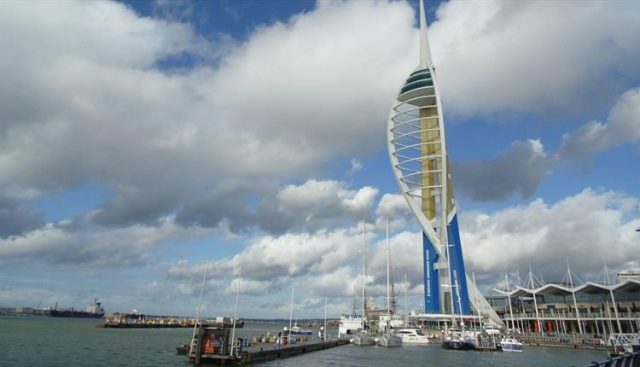 The Spinnaker Tower is a landmark observation tower, overlooking the Portsmouth harbour, Gunwharf Quays, Portsmouth Historic Dockyard, City centre and all of Portsmouth and its neighbouring towns and suburbs. It reaches up to 170 metres. Its shape and design was chosen by Portsmouth residents from a selection, and construction began in 2001. It boasts a high speed internal lift traveling at 4 metres per second, allowing visitors to reach the Viewing Decks in no more than 30 seconds. Gunwharf Quays is a leading designer shopping outlet, boasting over 90 stores. 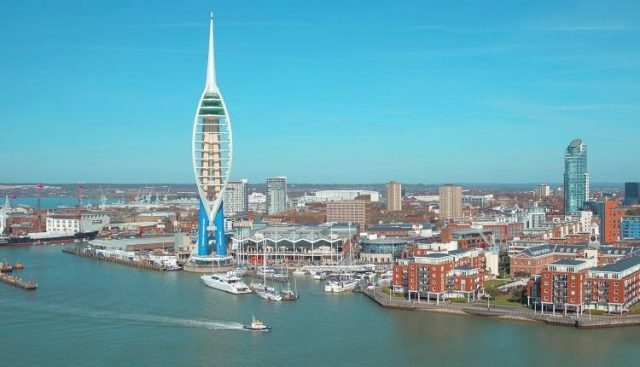 Situated on the harbour front next to the Spinnaker Tower, it is also an ideal place to relax in a beautiful setting, with an ample choice of restaurants, bars and coffee shops, as well as a cinema and a bowling alley.